Full 30-2500 MHz bandwidth. 100 W CW. 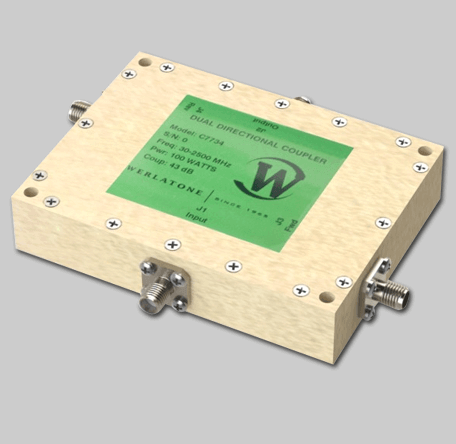 Model C7734 is a wideband Dual Directional Coupler which operates with less than 0.35 dB of Insertion Loss and better than 18 dB Directivity.